Cut chicken into long strips. Add oil to a pan over medium-high heat. 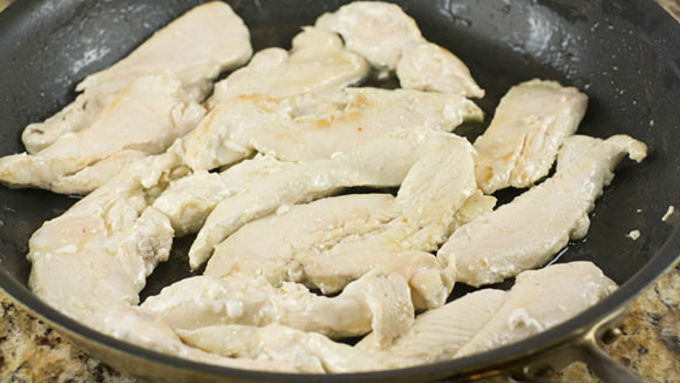 Add chicken strips and cook until they are cooked through, about 10 minutes. 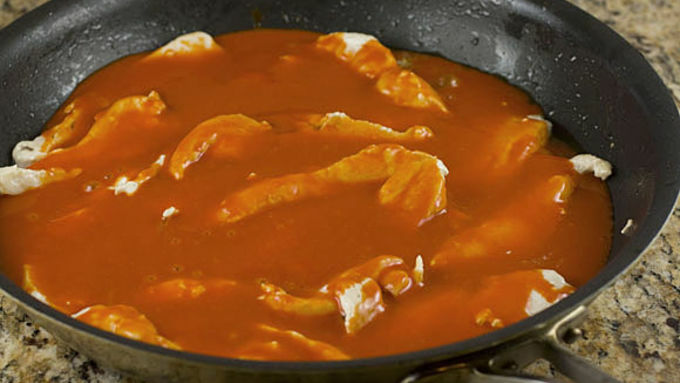 Add jar of buffalo sauce and continue to simmer chicken in the sauce until the sauce thickens, about 5 more minutes. 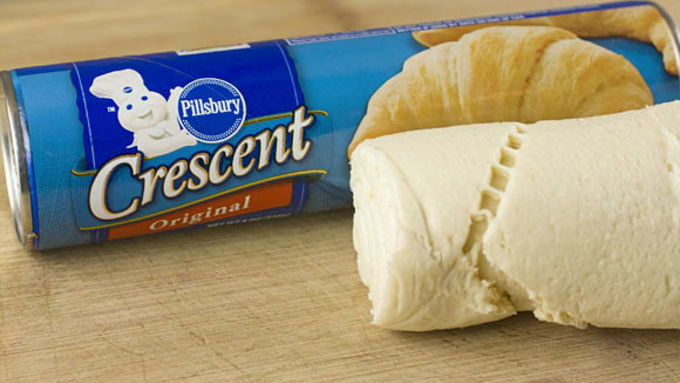 Roll out crescent rolls. Take each triangle and smear on some blue cheese. Take one chicken strip and add to crescent roll. 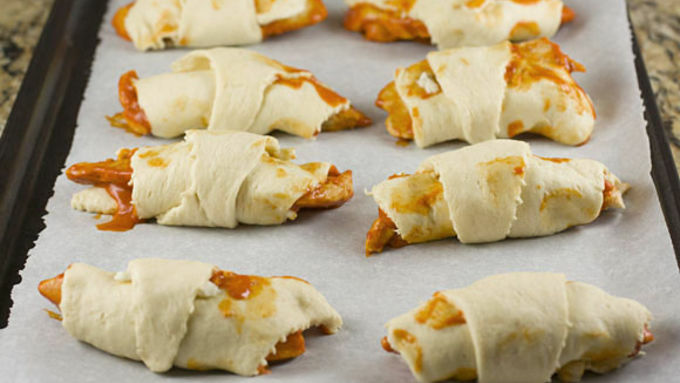 Roll crescent roll up to surround the chicken. Add each finished crescent roll to a baking sheet lined with parchment paper. Bake the crescent rolls at 375°F for 15 minutes or until golden brown. Let cool for a minute and serve! Pigs in a blanket were a classic appetizer in my childhood. I think almost everyone knows about the tiny little franks wrapped in crescent rolls. Pigs in a blanket are good, don’t get me wrong, but sometimes I find them lacking in the flavor department. Luckily, with just a few extra ingredients, we can spice them up and infuse them with some delicious buffalo and blue cheese flavors. 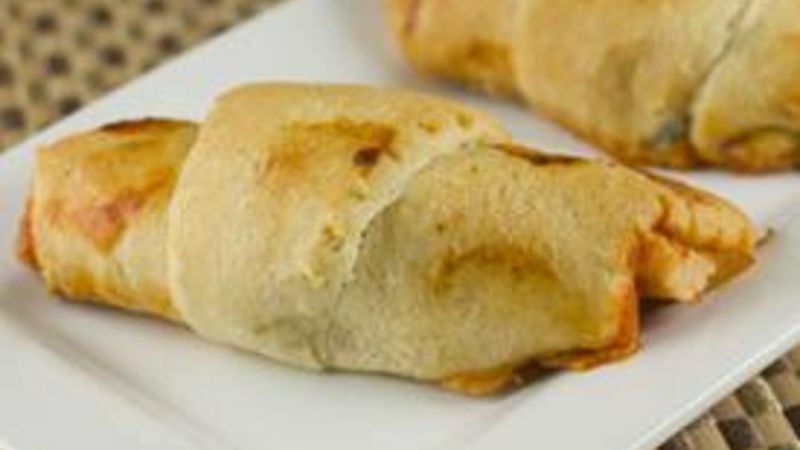 My Buffalo in a Blanket appetizer will be a crowd pleaser at any party you take it to! I can pretty much guarantee that these will fly off the plates at any party you take them to. 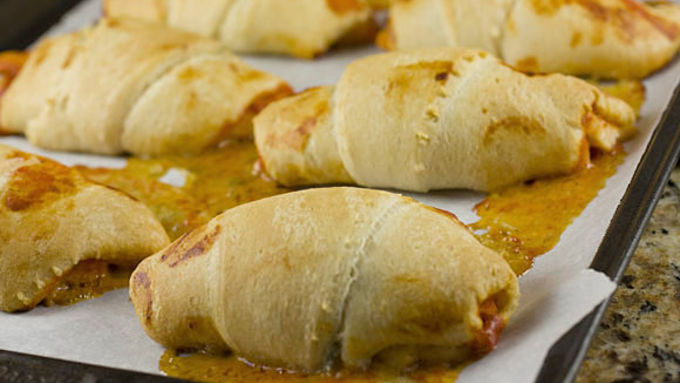 They are spicy and flavorful and the crescent rolls are flaky and delicious. A surefire winner!